NO COSTUMING ON DEADLINE THIS YEAR! Pet en l'air - Needs to have the gown properly fastened to the comperes front and hooks & eyes sewn in. It also needs to have some raw edges on the front sewn in. 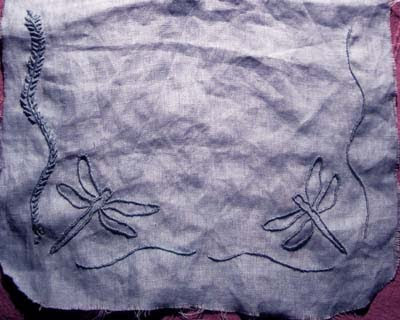 My pocket - I have finished all the embroidery and the supporting lining is cut. It only needs to be assembled. Under petticoat - I did a poor job around the pocket opening on one side so the side seam are rewinding itself. A wide brimmed hat - I have made the base after this great instructions, it only needs covering and decoration. 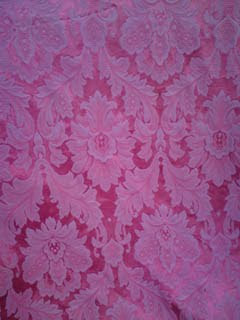 A jacket made of pink cotton damask that I bought before christmas. I will use one out of PoF 1 for inspiration but I will make it without stomacher. 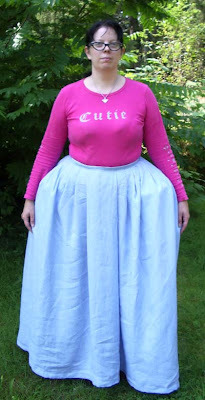 I want ot make it so I can use it both with pocket hoops for an earlier style and with a false rump for a later style. A false rump - I have the outer material and I'm planning to make it a bit like the wingeo style (but I will make the pattern myself). I have not decided what to fill it with yet...I might slaughter an old pillow for this since my budget is a bit tight. 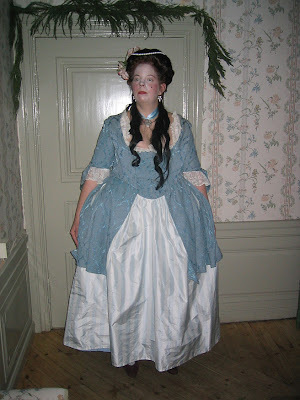 A floaty petticoat inspired by The Duchess movie. 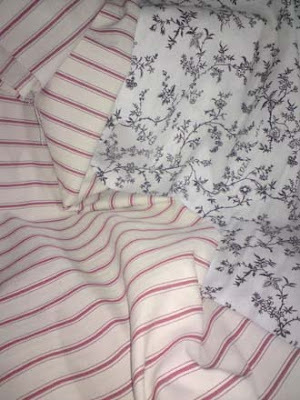 I've found a perfect, satin striped cotton voile over at B.R Export for this project. A 1780,s pierrot from "Kvinnligt mode under två sekel" (a swedish book about 18th and 19th century fashion). When I saw this garment the first time I thought "OMG the red cotton velvet in my stash!" and I have been in love with it since then. I will line it with the infamous ANNELI fabric in black and white. A new pair of stays. I want them to have front and back lacing and be suitable for late 18th century and be fully boned in the front. I have the foundation layer fabric already. I scored a really stiff, tightly weawed linen twill sheet on Tradera. 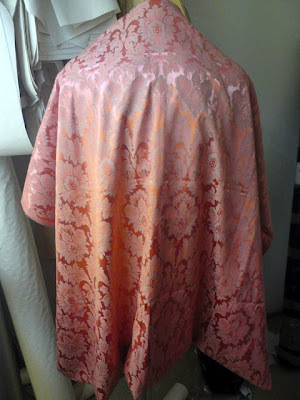 The outer layer will probably be a candy pink silk taffeta and I will use ANNELI in black and withe for the lining. I have not decided on the binding trim yet but it will probably be bias tape cut from the outer fabric. 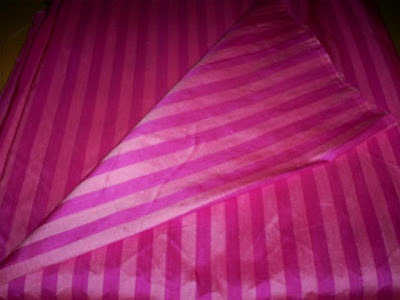 Remember the pretty pink striped fabric I scored earlier? 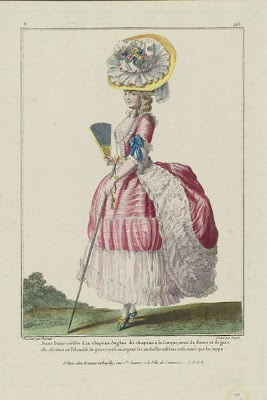 But I will change the petticoat a bit, I'm not very pleased with the strange fold that are above the white frill. This project are put on hold until my economy allows me to splurge on the mother load of silk organza that are needed for all the trims. Good for you on avoiding deadlines - sounds like an excellent anti-stress plan! You have some great projects ahead of you and without stressing for deadlines I'm sure you will enjoy every one of them. And I, and many with me, will enjoy reading about them! Isn't a new fresh year something wonderful? good heavens that damask is GORGEOUS! /jealous!!! Exactly what M said to me after the ball, "If this is your hobby shouldn't it be fun and make you feel relaxed?" First I wanted to chew his head of but then I realized that he was right.